Eid al-Adha (Bakra Eid) also called the "Festival of Sacrifice"
HomeEventEid al-Adha (Bakra Eid) also called the "Festival of Sacrifice"
Eid-al-Adha, also known as Bakra Eid, is the second of two Islamic holidays celebrated worldwide each year (the other being Eid al-Fitr). It honors the willingness of Ibrahim (Abraham) to sacrifice his son as an act of obedience to God’s command. Before Abraham could sacrifice his son, God provided a ram to sacrifice instead. In commemoration of this, an animal is sacrificed and divided into three parts: one-third of the share is given to the poor and needy; another third is given to relatives, friends, and neighbors; and the remaining third is retained by the family. Since then people celebrate the festival by sacrificing an animal. The festival pays tribute to one of the greatest demonstrations of faith with Islam. In the Islamic lunar calendar, Eid al-Adha (Bakra Eid) falls on the 10th day of Dhu al-Hijjah. In the international (Gregorian) calendar, the dates vary from year to year drifting approximately 11 days earlier each year. Eid al-Adha (Bakra Eid`) is the latter of the two Eid holidays, the former being Eid al-Fitr. In 2018, Eid al-Adha (Bakra Eid) will be celebrated on August 22. 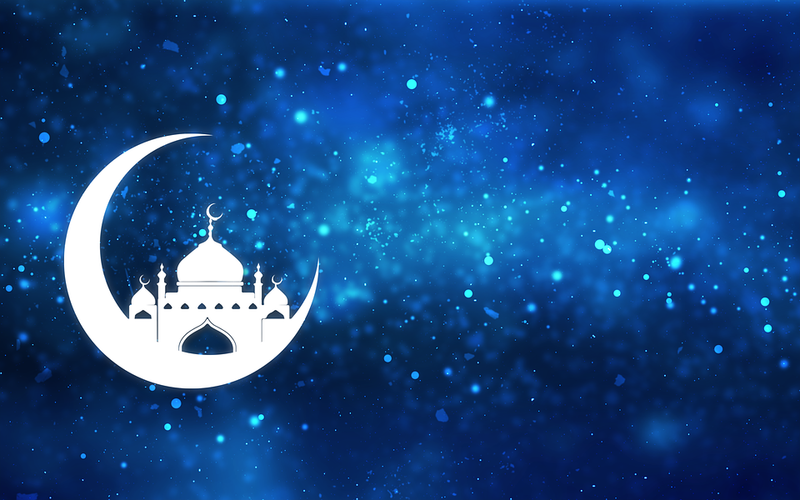 As we celebrate Eid al-Adha (Bakra Eid), here are some SMS, WhatsApp messages, pictures, and Facebook status to share with your family and friends. On the joyous occasion of Eid al-Adha sending across my warm heartfelt wishes. As Allah waters his creation, May he also sprinkles his wondrous blessings over you and your beloved ones. May Allah bless you always, Make your dreams come true And be with you now and always. A special prayer for you, May Allah’s blessings and divine be with you.